Before listening to this album the first time one should certainly expect the unexpected since the music we get offered here is absolutely impossible to categorize. Though usually being filed under progressive metal only 15 % of its contents in fact can be considered metal. 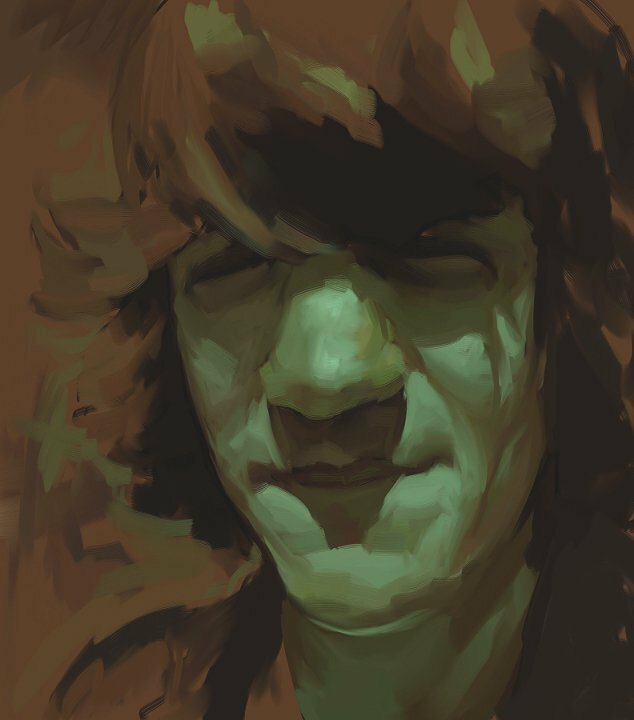 Truly there are quite a few death metal type of growls, but those ones are very well woven into a fine drapery of lounge jazz, ethnic tunes, progressive rock, pop and who knows else type of music. Actually I'm not aware of ever having heard a similar record than this one (though I dare claiming to have a broad knowledge) and the only band sounding that much eclectic that comes to my mind is DISCUS from Indonesia. But the big difference to them is that Subterranean Masquerade succeeded even better since their record is much easier accessible than theirs. It's really big fun to listen how these musicians manage to merge all those different genres together to form a truly unique piece of modern art. Very often styles are changing a couple of time within the same track without making it sound blatantly or unbearable for the ears. Instead the songs here sound highly enjoyable, at times almost harmless and unspectacular. "For the rest of this session, you might ask yourself 'Am I going crazy?"... this announcement after the opening intro speaks for the whole album. "Wolf Among Sheep (Or Maybe The Other Way Around?)" for example starts with acoustic guitar and whispering vocals before developing into a mournful solo on electric guitar, then a few growls for a short while which are soon thwarted however by warm string arrangements. The electric guitar returns uniting with the acoustic one later on, then there are enjoyable clean vocals combined with strings and the track finishes with a faster paced guitar solo. "No Place Like Home" is a blend of folk and ethnic tunes on flute, oriental type of vocals and jazzy piano sounds. "Kind Of A Blur" offers dreamy piano and string sections next to rather pop-ish sounding choir singing but despite its obvious simplicity this song is nonetheless a great one. In "The Rock'n Roll Preacher" we get to hear heavy guitars, a piano playing lounge jazz, acoustic prog reminiscent of the 70's and growls partly combined with sax tunes. "Six Strings To Cover Fear" is the only track here in a common prog metal vein and though being the easiest accessible one far away from being a dropout, quite heavy and sinister, but very strong. "Awake", longest track with 14 min consists of an awesome mix of orchestral sound, pleasant female vocals, heavy frowning growls and jazzy sections. Last track "X" is then a welcome recovery from this roller coaster trip and a perfect closure for this excellent album. Hope my description doesn't sound too much alienating for most readers. Just trust me, the music doesn't sound by far that messy like it might seam. Everything fits together somehow in a great miraculous way and after a couple of spins one has the impression to listen to the most normal music in the world. Certainly this record won't please everybody; metal heads will find little here to be satisfactory and those having problems with growling will find only parts of it enjoyable. Nevertheless it's an excellent and unique one IMO and I'd highly recommend it to anyone having an open mind and a broad musical taste. This was perhaps the first prog metal I ever came into contact with and boy was I lucky to discover this gem. This album features an amalgamation of several different genres - seemlessly, it's got jazz, death metal, prog and space rock and not only that it takes some of the best parts from each. The albums starts out with the very chilled introductory song, a very fitting preface. The second song wolf among sheep (or maybe the other way around) is my favourite song on the album and also simply one of my favourite songs, it starts with a very beautiful acoustic section with a nice warm organ, a very good chord progression and some excellent harmonised vocal work. Then the song is cast into a burning pit of sludge and death metal whilst still retaining the musical complexity of the previous section (it has piano in this part and by god it somehow works), and then the release and we are greeted with some great violin work. Fantastically written music, very melodically rich, very dark and very rewarding. No place like home is another fantastic song, a jolly song with some great harmonica and other stuff (invokes images of wind in the willows for me) and then we're cast into the pit with the death metal again but it is again melodically rich and tempered with violin and then we are sent into our warm cosy spacey world again. Awake is the epic on the album and it too is a great song - melancholy, amazing female vocals throughout with some great vocal soloing going on around the 9 minute mark. it also degenerates into an ethnic freakout after some symphonic goodness and we end on a metallic note. X is a great finale, beautiful, spacey, awesome black chick singing, climatic solo to finish it all off - outstanding. A very very interesting, rewarding and different album recommended to most prog fans, I was a huge fan of this even when I didn't like metal at all that's how diverse this album is. Avant-garde Metal at its finest. Incredible output by this very Non-prog metal band. I say that not because they aren't progressive, but because this band/album is so much more than a generic prog metal band. If you're biggest complaint is that there's no thought/emotion in prog metal, this is an album you must own. It's not only extremely out there in many regards, but the songwriting is gripping and poetic. Just take a quick glance over the instruments used here. I'd like to think of this band as the doom version of Kayo Dot, in order to give some kind of comparison. Wolf Among Sheep has an amazing impromptu chorus in the middle with lush chords and a quirky spring like sound that will have you dazzled. Despite the craziness that ensues, its incredibly well formed to keep a sense of structure rather than random ramblings that many avant style bands might fall into. What's most important is that there's enough here to keep you guessing, and to keep you coming back to the album searching for more. I can't think of too many other projects pulled off like this with what seems like such ease. One can hope to expect many more outputs by this band of the same quality, as they have outstanding potential. A real gem in the field. I had been hearing some great things about this album for a long while before I got around to listening to Subterranean Masquerade's 'Suspended Animation Dreams', and once again, my my musical network has not let me down. Although often called a progressive metal, or avant-garde metal band, there is alot about them that does not fit any of those labels. Suffice to say, 'Suspended Animation Dreams' is an eclectic effort, but it ultimately gives off a lasting impression that keeps me coming back. 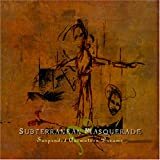 Although aspects of the band's sound feel somewhat half-baked in comparison to the sheer perfection they reach with others, Subterranean Masquerade's first- and to date, only- album deserves an invested experience from any adventurous listener. You may have heard of the death metal elements that Subterranean bring to their music, but a listener who may be turned off by death growls should not be thwarted. Of the hour or so length, only a fraction is lent to metal, or heavy things in general. As a whole, Subterranean go for a prog rock sound that's hard to pinpoint in any prog trend. Their music can be acoustic and folky, or jazzy. As one may guess from a track title lie 'Rock n' Roll Preacher', there are also straight up 'rock' moments, where there's nothing particularly weird going on, and the music has an upbeat feel to it. Often, the mellower side of the band could draw comparisons from Pink Floyd. No mistakes made, however; 'Suspended Animation Dreams' is a challenging album, and there is not much out there that sounds like it. Although a listener will likely not confront something they perceive as being totally 'abstract', the fact that the wide range of sounds are all within the course of one album makes the album quite a handful to digest all at once. The musicianship here is strong, though lopsided. Taking a look at the 'cast' for this album can go to indicate how many instruments are actually at work here. There are horns, saxophones, and harmonicas. 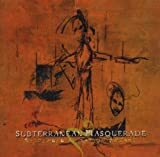 Considering that this is a metal album, it takes some memorable songwriting to have it all fit together well, and Subterranean Masquerade do not disappoint on that front. Some of these instruments make a cameo for a moment only, and then leave, and it would have been nice to hear some of the most promising elements, such as the harmonica, a little further developed. There are Paul Kehr's vocals are arguably the most distinctive aspect of this band, a lower-register voice that carries alot of emotion and warmth to it. Where Subterranean Masquerade ironically loses some of their intensity is actually the metal portion of their sound. The metal guitar tone sounds a little weak, and it generally feels less well-executed and powerful than its mellow counterpart. Although they are labelled a 'prog metal' group, 'Suspended Animation Dream's greatest feature are the warm, often acoustically driven prog rock they make. Thankfully, that's where the band devotes most of their time, making Subterranean Masquerade's debut a winner. 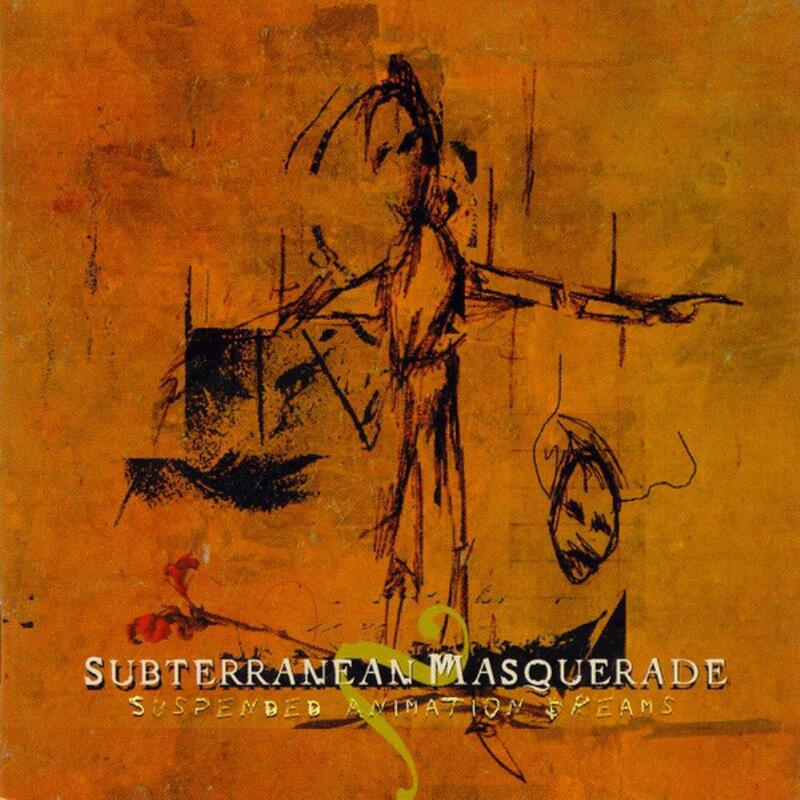 Post a review of SUBTERRANEAN MASQUERADE "Suspended Animation Dreams"